2/2/2009Share this story on Facebook! 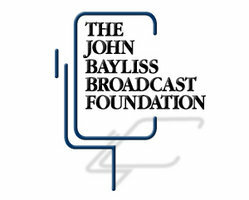 The Bayliss Broadcast Foundation works with radio department deans and professors at top communication schools, including Ithaca College, to select the best students for 8-week, paid, radio internships. 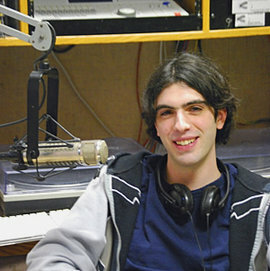 In his four years at IC, the author not only rose through the ranks at WICB to become assistant music director, but interned at Capitol Records and WLTW 106.7 Lite fm New York -- two of the biggest names in the music industry. Most six-year-old boys spend their time playing with toy airplanes and trucks. But not me. When I was six, I was holding a microphone plugged into my father’s stereo system, recording my own radio show. Years later, as an Ithaca College freshman, I found myself sitting in the Park auditorium listening to the executive staff of WICB, the College’s radio station, describe all the opportunities available to students. I was itching to get involved. WICB is consistently ranked as one of the top five college stations in the country by the Princeton Review. The station is student operated and broadcasts 24 hours a day, 365 days a year. It can be heard from Lake Ontario all the way to northern Pennsylvania, potentially reaching more than 250,000 people -- and that doesn’t even count all the people who listen online. Students can perform a variety of tasks at the station: disc jockeying, sports broadcasting, news reporting, PSA programming, and sponsorship, among a host of others. The music director told us that night that he was looking for an assistant. The job would entail picking all the music for the modern rock format, which makes up most of the programming on the station. The assistant also serves as a representative for the station in the greater music industry, a world I was hoping to break into. As a voracious consumer of music myself, not to mention a musician, this job sounded perfect for me. I eagerly fulfilled my duties and also took the opportunity to become a DJ. Through disc jockeying I met scores of people, including my closest friends, not to mention a couple of girlfriends. As the end of the semester approached and the weather got colder, the other music buzz producers dropped off one by one. By December, I was doing the job single-handedly. Impressed by my hard work, the music director offered me the assistant music director’s position for the following semester, which I gladly accepted. As assistant I hosted a weekly show premiering new music. I picked and monitored the new music that was played and reported it to the College Music Journal as a contributor to their weekly charts. I attended concerts for free and got to interview the bands. I had to pinch myself halfway through sophomore year when I found myself hanging out backstage with the Walkmen, one of my favorite bands. I also talked to radio promoters across the country on a weekly basis, tracking the success of hot new bands not only on WICB but at stations across the country. I left the position after a year and a half to spend a semester as part of the Park School’s Los Angeles program. Riding the elevator to the eighth floor of the iconic Capitol Records building for my interview, I ran into Capitol Records’ college radio promoter, whom I knew from my music director work. Surprised and excited to see me, he showed me around the floor, telling anyone who would listen what a valuable asset I would be. I got the internship at Capitol, where I applied my knowledge from WICB in the real world, promoting the new LCD Soundsystem record, Sound of Silver. While in Los Angeles, I was accepted into the Bayliss Intern Program, which awards students in college radio paid internships at stations across the country. The program placed me at WLTW New York, the station with the largest listenership in the entire country. During the summer before senior year, I tried my hand at everything from marketing to producing the morning show. I thought there might have been some other John around, but no, he meant me! My momentary trepidation gave way to confidence. I knew I could handle it. The session went flawlessly. Looking back, it’s still amazing to think that I engineered a spot with one of the most important people in the radio business. As a recent graduate I'm currently pursuing a career in radio while performing with my bands. When I look back on the great experiences I’ve had in the entertainment industry I’m reminded of the doors that college radio has opened for me. I’m sure they will continue to open for years to come.